At the end of June, Paris Johnson Jr. announced his pledge to join the OSU football team when he graduates in a couple years. 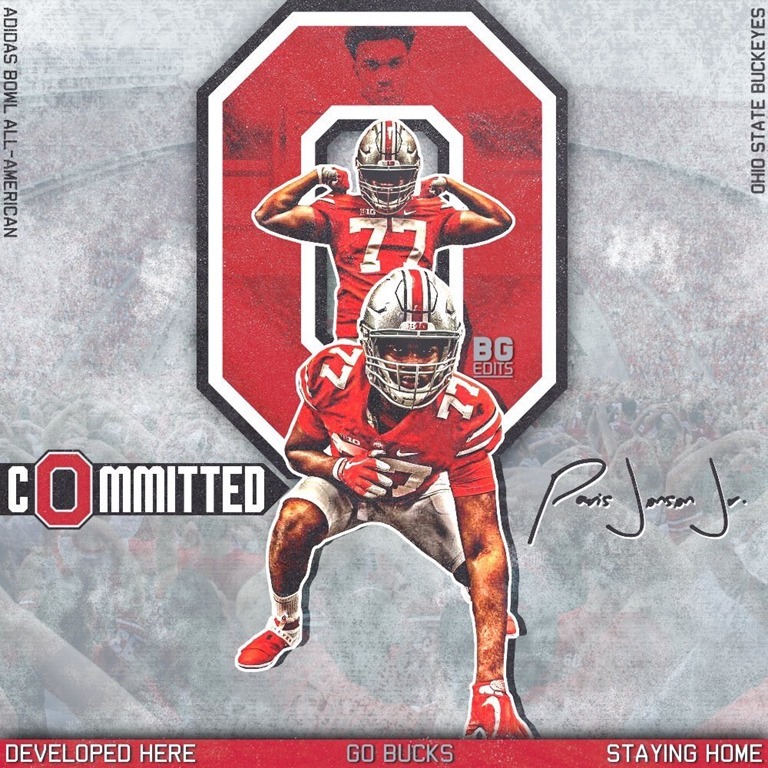 Building on the news of Lejond Cavazos' commitment, Johnson Jr. is the second major Class of 2020 recruit that OSU has entered negotiations with so far. The 6-foot-7 285-pound OT from St. Xavier is a Cincinnati native, and he's listed as the second overall prospect at the offensive position in his class. In spite of the fact that he's only played in parts of two high school seasons, Johnson Jr. received scholarship offers from over 40 different colleges. Paris Johnson Jr. says this is a major opportunity for him since it gives him the chance to represent his home state. In agreeing to play for OSU, he's elected to pass up a chance with the Crimson Tide and the Auburn Tigers. It doesn't seem like he minds at all, though. Apparently, the so-called extended family at OSU made Johnson Jr.'s relatives feel right at home. He made it sound like his 13-year-old sister could have had a conversation with Urban Meyer anytime that she wanted to. In an interview with Johnson. He told that he also passed on scholarships with Clemson and Georgia in order to attend college in the state of Ohio. He also praised OSU's coaching staff, calling it the best in the country at the moment. Current projections have Johnson ranked as a 5-star player at his position. Nevertheless, he didn't make a big deal out of his pledge and instead announced it on Twitter.